Uncertainty always marks the journey of effective leaders. We can only imagine David’s own struggle as he faced increasingly challenging assignments from the Lord. As church planting leaders, in many ways we walk the same path. If we can accomplish it in our own strength and resourcing, then our vision is too small. If our vision doesn’t stretch us past our comfort zone, it’s too small. If it doesn’t lead us to run against an army, or to attempt a leap over a formidable wall, then God isn’t in our vision. It’s something we created. Conversely, just because a vision is big and would stretch us, doesn’t mean it is automatically from God. 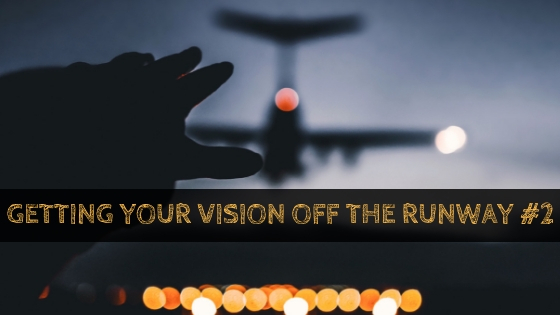 If God isn’t lighting our runway early on as we seek to get the vision into the air, then our vision is too big. Those little runway lights are the sequential “next steps” as we implement the initial plans in accomplishing the vision. How does your vision for church planting and reaching unreached people line up with these two parameters? Does your vision lead you and your ministry into the darkness of the unknown? And is God providing runway lights in helping you actually accomplish it? Is it leading you into complete dependence upon Him? Dear Heavenly Father, Show us Your true vision, and lead us to walk in obedience to it. Amen.